Nasturtiums aren’t the only edible flower that is commonly found in backyards and growing wild. Here is a list of some of the most common. This list is by no means complete, but is meant to be a starting point for further study of the flowers you have in your yard. Just because you see the name of a flower on this list, do not assume you can run right out and start eating them. First, do a bit of research on the flower, make sure you have it correctly identified. This foraging book is one of my favorites and the author is a well-known foraging expert. Second, make sure you know which parts can be eaten. If you are interested in learning to identify edible plants like the ones on this list or growing a garden with all the herbs, vegetables, and edible flowers you could possibly want, check out this book and this book. Interestingly, as you learn more about foraging in your backyard and elsewhere, you’ll find that not every part of a plant is edible. It’s important to have some fundamental foraging knowledge before you start picking random plants and eating them! It’s good to know that the flowers of these plants are edible because they’re a source of nutrition and flavor that would otherwise go to waste. Sample a single petal, or small piece of a petal, before assuming you’re going to like the flavor. Get a good foraging book or two, preferably one with a few recipes to get you started. Try drying the petals and seeping them in hot water to make teas or chopping up the edible blossoms, leaves, too, if edible, and adding them to biscuit batter or on sandwiches and in salads. The beauty of this very long list is that there is something to be found in every growing region, from deserts to the coldest climate areas. Many of these flowers will be found in the wild, such as wild violets. I’ve made a printable checklist of these flowers so you can have a copy on hand to keep with you as you forage. In the future, I plan to write posts on some of the flowers on this list along with pictures and identifying information, as well as a few edible weeds. However if you have these in your yard you don’t need to wait for me. Learn about the plants in your yard or area today. Updated by Noah, January 14, 2017. 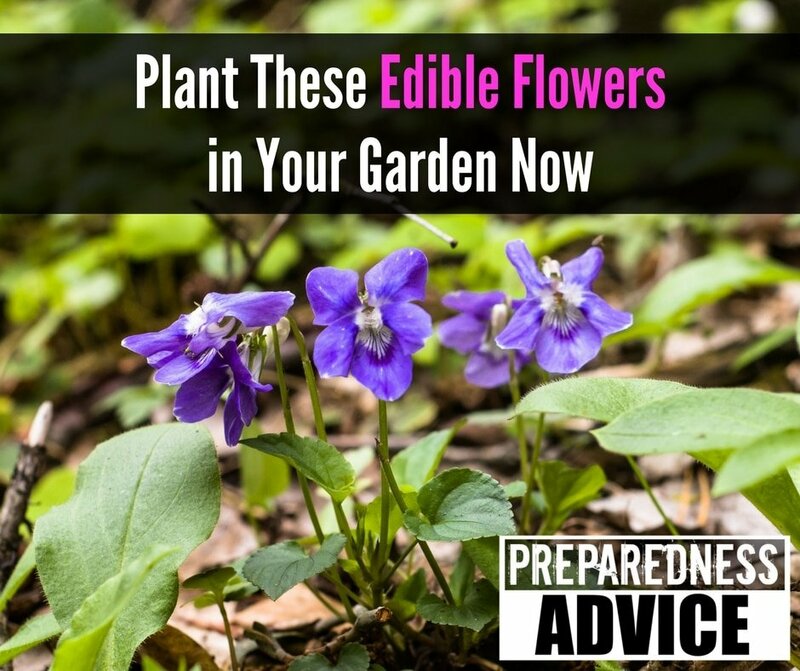 This entry was posted in edible plants, gardening, Self sufficiency, survival and tagged Edible Flowers, edible plants, foraging. Bookmark the permalink.